Smoky Pistols’ - Chimney Sweep, Roofer based in Chessington, Surrey. Welcome to Smoky Pistols’, a family-run business based in Chessington, Surrey. We serve a 7-mile radius around Chessington, including Kingston, Wimbledon, Sutton, Epsom and Cobham. Friendly and professional, we take pride in our work. My name is Mike Pistol, I sweep the chimneys, and my sister Sarah does admin and some behind the scenes work. We provide a quality chimney sweeping service with a personal touch. We go out of our way to keep your house clean and to try to ensure that every customer is satisfied and happy. We are fully insured and qualified with the Guild of Master Chimney Sweeps, who deliver one of the most comprehensive chimney sweeping courses in the UK. Fun and fresh, with a different flavour, you can expect no mess, no hassle, and trusted advice from us at a competitive price. You can contact us on 07547 876268 by phone or text, leave a message and we’ll get back to you almost always the same day. Or you can email us at [email protected], and we’ll quickly reply. 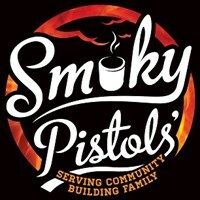 Feel free to check out our shiny website at www.smokypistols.com. We look forwards to hearing from you. Most KT postcodes, Kingston, Wimbledon, Sutton, Epsom, Cobham.